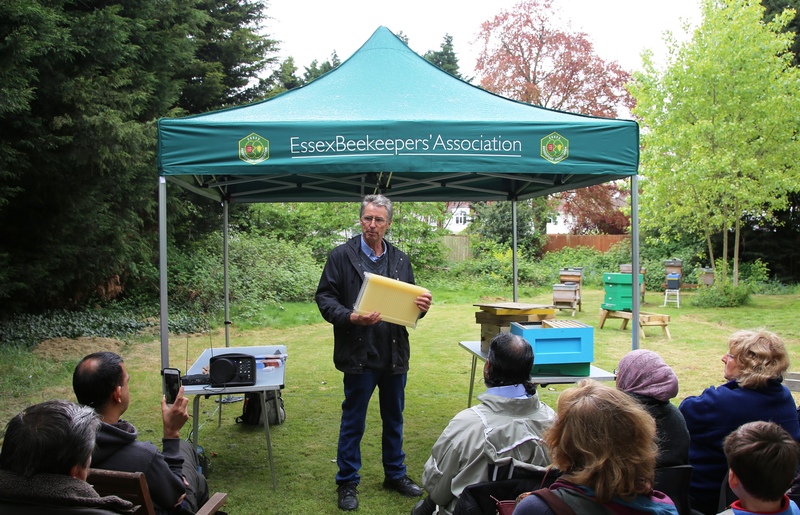 Chairman to Southend on Sea Division of the Essex Beekeepers’ Association. 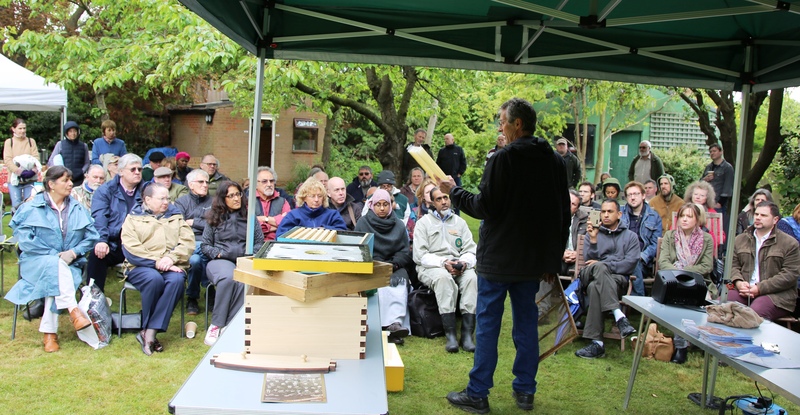 On Bank Holiday Monday 1st May a conglomeration of buzzing Beekeepers gathered at Epping Forest’s scenic Divisional out apiary for a dynamic talk and demonstration of the newly available UK National Super version of the Flow Hive. They travelled eagerly from London, Essex and beyond. This was part of a three-month promotional European Tour by inventor Stuart Anderson. The Australian co-inventor of the Flow Hive Stuart, who collaborated with his son Cedar Anderson to produce the original concept gave the presentation. He spoke passionately about environmental issues, and with grateful thanks to the many people throughout the World who had crowd-funded this unique apiaristical development project. Until recently the Flow Hive was only available as a complete beehive kit, based on the Langstroth pattern and dimensions. This hive is not popular in the UK, and hive parts are not interchangeable with British hives. 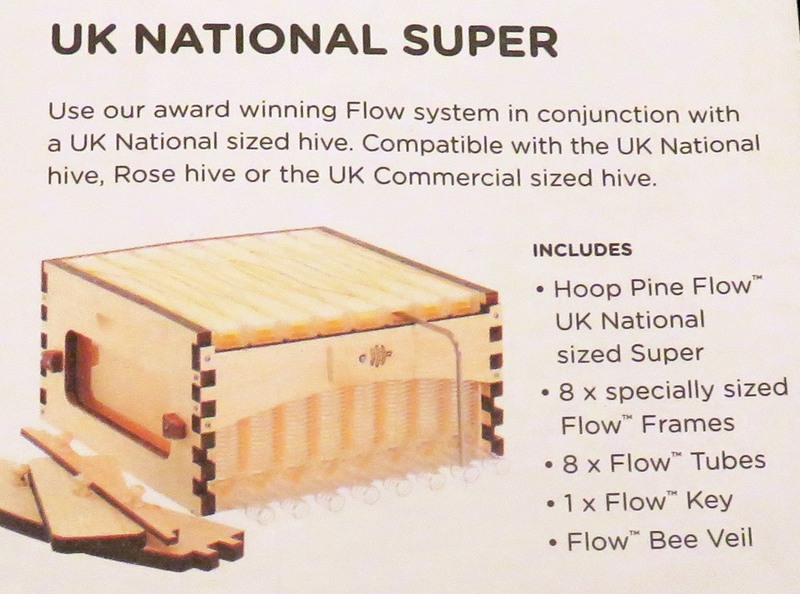 Stuart and Cedar Anderson are now producing a UK NATIONAL FLOW HIVE SUPER which is compatible with the UK National and Commercial sized hives. This innovation makes the cost much more attractive to British beekeepers, since the SUPER will fit above a standard brood box and queen excluder. As with all beekeeping activity, success with the Flow Hive is dependent on sound husbandry, seasonal timing, disease control, and an awareness of what is going on in the brood chamber. It is not a recipe for leave alone beekeeping, but sound and skilful colony management. 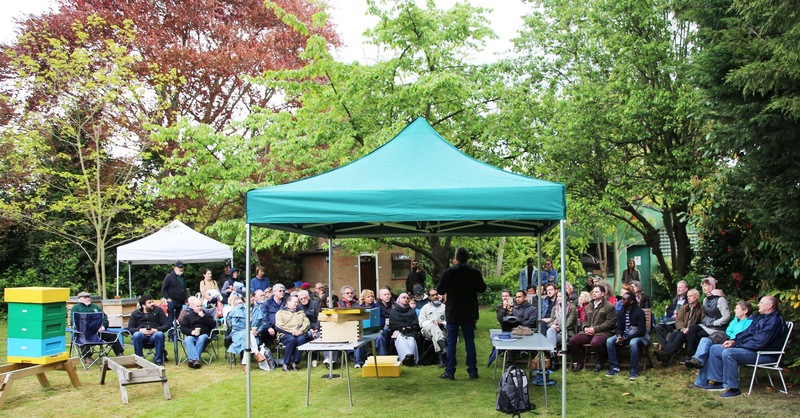 Stuart Anderson spoke enthusiastically about the Flow Hive to the enchanted retinue of attentive Essex apiarists, and answered many searching questions in a frank and honest way. The demonstration enlightened this May Day Bank Holiday morning. It really was the Bees Knees.